If you need hair design, facial waxing or ear piercing in Regina, the specialists at Fixx Hair Design Inc can provide superior service that is sure to impress. Walk-ins are always welcomed, and their high-quality work helps people truly bring out their best. 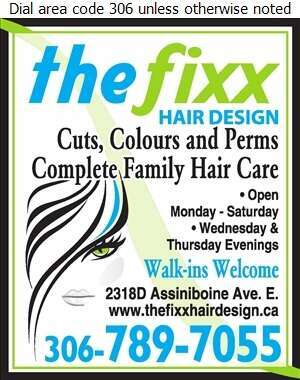 At Fixx Hair Design Inc, they also specialize in cuts, perms and colouring. With excellent customer service and hours that accommodate many of those who work during business hours, you are sure to appreciate this salon.